I have congenital heart disease, and recently had a hip replacement. Do I need to take antibiotics before dental treatment? Total joint replacements that may predispose one to developing blood-borne infections at the site of the prosthetic (false) joint. The recommendations for both conditions have been updated recently, so your question is very timely. Cyanotic congenital heart disease (birth defects with oxygen levels lower than normal) that has not been fully repaired, including children who have had surgical shunts and conduits. A congenital heart defect that’s been completely repaired with artificial material or a device for the first six months after the repair procedure. In 2013, the American Dental Association (ADA) and the American Academy of Orthopedic Surgeons (AAOS) released the first joint evidence-based guidelines on the prevention of orthopedic implant infection for patients undergoing dental procedures. They found no direct evidence that dental procedures cause orthopedic implant infections. Antibiotics are no longer recommended for everyone with artificial joints. 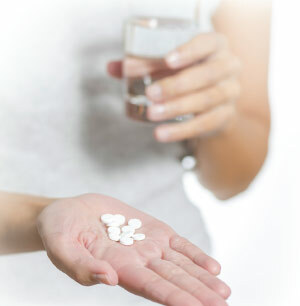 Ask your doctor (cardiologist or orthopedic surgeon accordingly) for his or her consideration and guidelines on whether you require antibiotic premedication for dental treatment — each person’s situation can be different. As a result, healthcare providers may rely more on personal medical history to determine when antibiotics are appropriate before dental work for someone with orthopedic implants, which includes your hip-joint replacement. But there are also other considerations to be taken into account. Antibiotic premedication might be useful for individuals who also have compromised immune (resistance) systems due to illnesses like diabetes, rheumatoid arthritis, cancer, chemotherapy, or chronic steroid use — all of which may increase the risk of orthopedic implant/joint infection. Tell your dentist if you have a heart condition of any kind, or have had a prosthetic (false) joint replacement. Also, ask your doctor (cardiologist or orthopedic surgeon accordingly) for his or her consideration and guidelines on whether you require antibiotic premedication for dental treatment — each person’s situation can be different. Please do not attempt to decide this important medical matter on your own or withhold any information about your health history, past or present, current medications, or history of allergy. Your dentist and your physician/s will work in concert to determine whether or not you need to premedicate with antibiotics prior to dental treatment.